Young pizza chefs will shout "Mamma mia!" 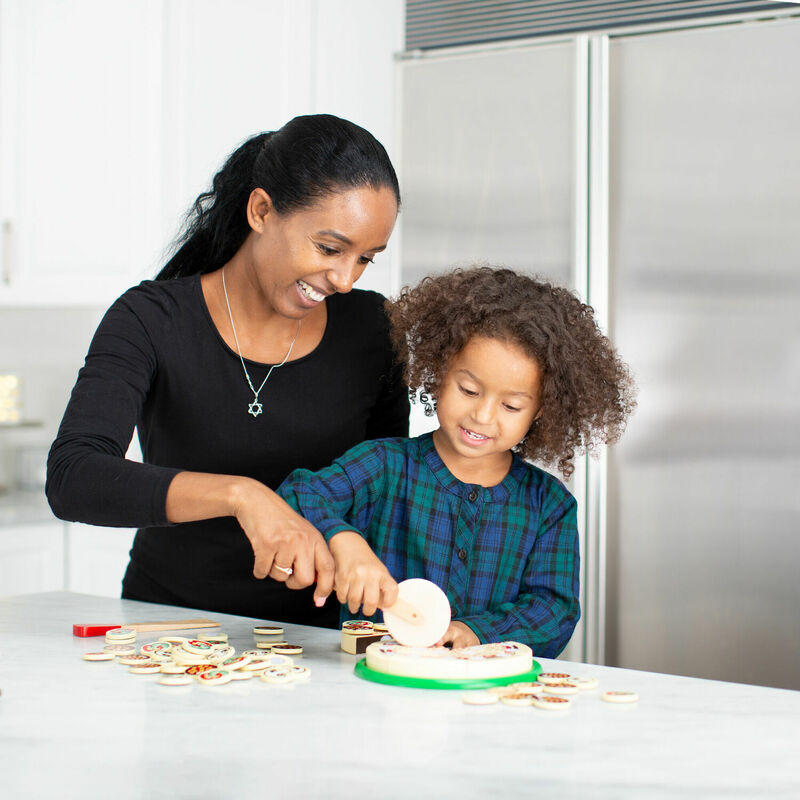 when they see the 54 toppings that come with this wooden pizza set. Then they'll get busy topping, cutting and serving up six custom slices for their happy customers. 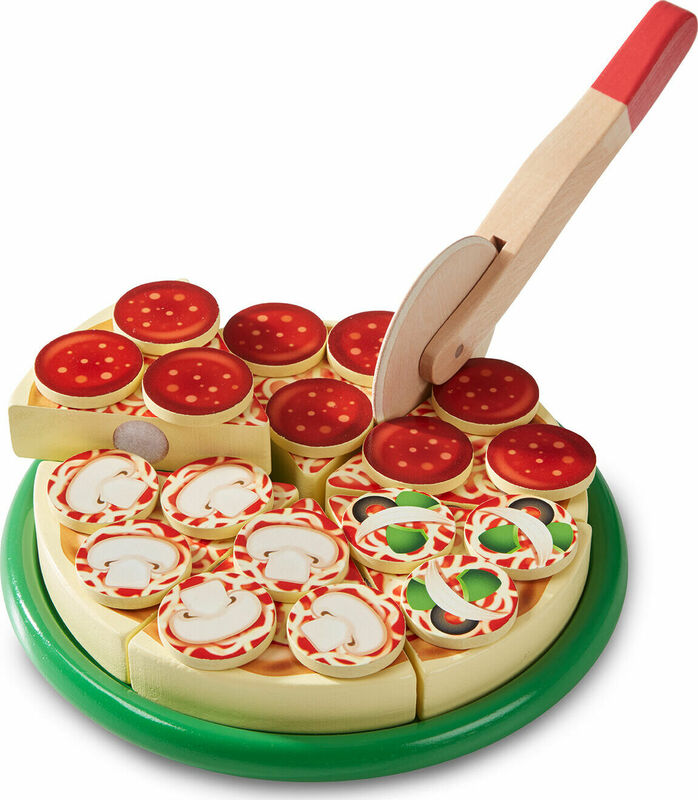 The set comes with a brightly colored tray, pizza cutter, spatula and a wooden box for storage, and the pizza makes "slicing" noises when cut! Measures approximately: 13.00 x 9.05 x 1.60 inches..